What Is a Refrigeration Plant? A refrigeration plant can be the underpinning for an industrial air conditioner. A refrigeration plant maintains cool temperatures for climate control, preservation, and other activities. These devices can be mounted on trucks for mobile chilled environments, as well as installed in facilities to cool rooms or entire structures, depending on their size. The available temperature ranges depend on the design and the operating conditions. In extremely warm environments, it may be difficult for even a highly efficient refrigeration plant to bring temperatures down. Equipment may not be able to reach to low ends of its advertised range under these conditions. The basic design of a refrigeration plant takes advantage of heat exchange that occurs during phase changes, when liquids convert to gases and vice versa. A material like liquid ammonia can be pumped through tubing into the area to be chilled. As the liquid moves, it reaches boiling point and becomes gaseous, picking up heat from the surrounding environment. The gas is pumped into a compressor, which converts it back into a liquid and facilitates another heat exchange to allow it to release the heat. Cooled liquid circulates back into the environment to repeat the process. 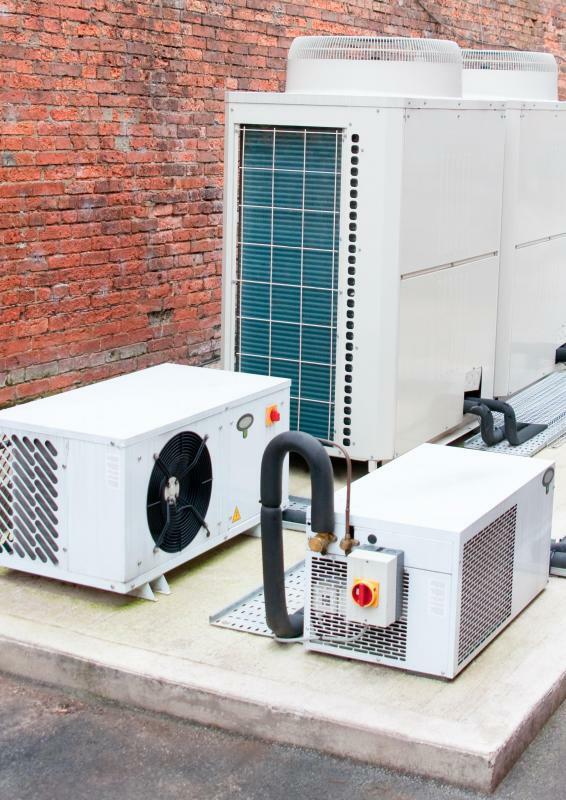 Very large refrigeration plants can be the underpinning of air conditioning and chiller systems used to control temperatures in entire structures. In some cases, it may be necessary to install several such plants to handle climate control for an extremely large building. To facilitate rapid heating and cooling, the structure may be designed with environmental efficiency in mind,using measures like windows that minimize heat loss and floor plans to facilitate air circulation. Smaller units can chill a refrigerator or walk-in freezer. Operators can control the refrigeration plant manually with adjustments to the temperature controls, a process which can also be automated at times. Automated equipment can use preset commands to raise and lower temperatures, using internal sensors to determine which parts of the plant to activate. The machine may also issue alarms if the environment exceeds a certain temperature, to alert operators to a potential safety problem. For example, in a refrigerated truck, if temperatures rise too high, food and medical supplies inside may no longer be safe for use. Numerous liquids can be used in a refrigeration plant, and freon was a historically popular choice. 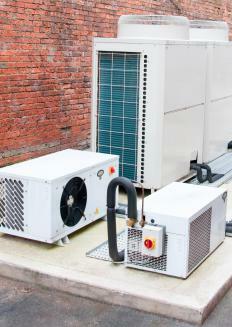 Environmental concerns have limited the types of components available for use in refrigeration. In the event of a leak, it is important that the coolant not contain components known to be hazardous for the environment, particularly the ozone layer. Licensed heating and cooling specialists may oversee system maintenance and ensure that the equipment is kept in good working order to prevent leaks and other problems. What Does a 5th Class Power Engineer Do? How Do I Become a Class 4 Power Engineer? What is an Ammonia Compressor? What is a Meat Packing Plant?